EYE on Art and FIBER Festival present Alchemical Visions on Tuesday, May 9th, two days prior to the festival: a special double edition of EYE on ART about cinema and alchemy. Connected to the festival research into the relationship between alchemy and art, Alchemical Visions is a cinematic journey that invites the audience to explore matter at very different levels: witness beauty of natural processes from close-up, follow the global trade in rare metals and imagine being at the nano-level to witness atomic processes. 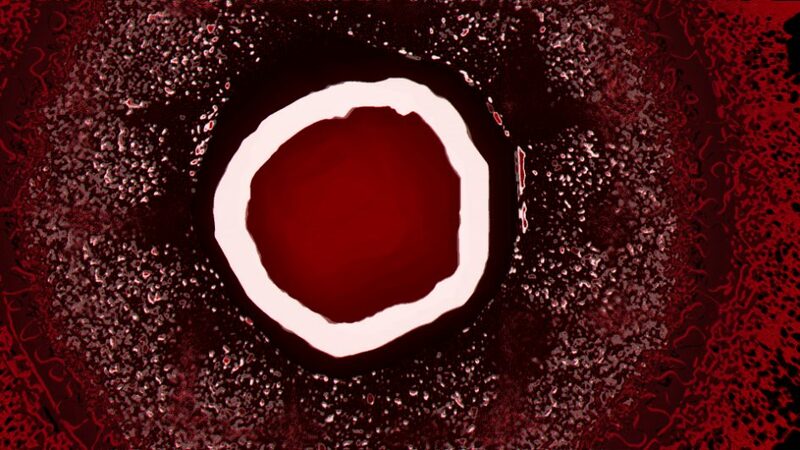 Alchemical Visions presents films by artists and filmmakers who, like the ancient alchemists, speculate and experiment with new materials. Expect an evening of experimental films by Professor Patricia Pisters (NL) (Media and Film Studies University of Amsterdam), architect and artist Füsun Türetken (TR/NL), audiovisual artist Tarik Barri (NL/DE), artist / researcher TeZ (IT/NL) and filmmaker Karel Doing (NL/UK). Most of these films have never been shown in the Netherlands before. The evening will conclude with the audiovisual performance Presque Vu by Mark IJzerman (NL).